Could You Trust a Stranger with Everything You Own? Home More Info Could You Trust a Stranger with Everything You Own? 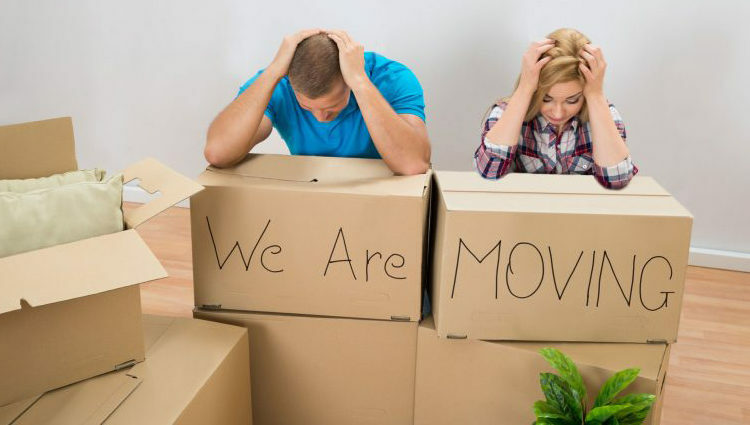 The right moving company takes pressure off your shoulders and makes your moving easy. Are you sure that you want or are able to replace broken or stolen things if something bad happens? In fact, registered and insured movers are some of the most careful and accountable professionals that you’ll meet. They wouldn’t exist if they were doing bad or wrong things. It doesn’t matter how fine his telephone etiquette actually is or how neat the representative is dressed. What truly matters is the business’s standing. Start at the Better Business Bureau with a fast search. If the business isn’t recorded don’t stress. Not every company is. But if they are, you might find valuable advice such as whether they’ve had a criticism that is documented and whether the grievance was satisfactorily solved. Of course an online quote is very convenient, so tons of movers offer on–line estimates as a comparison shopping service. Just be careful with that. Don’t stop at only one estimate from one mover. Additionally, ask about whether the estimate is all inclusive or there are additional fees and charges. And don’t forget: there should be a closing estimate in written form Before moving date. You can also ask for it via email or fax if you have one. The mover which you hire might request a deposit to guarantee your moving date . That’s acceptable. Self–confidence is needed by movers exactly like you. A little deposit isn’t excessive, and you might go somewhat higher, determined by the place where your home is and your interest in movers. But if the mover asks for the entire fee – that’s not appropriate.. and you should avoid those kind of movers. All they may ask is just a a small deposit not exceeding 50% of overall payment. That not hard to avoid scam artists as you might think and of course there is much more honest and good ones “real movers” so a scam is not a very big % out of normal moving companies. Check the business out. Request to see their certificate at the time of the estimate in person. None of those are questions that are impolite, and a mover that is reputable won’t be piqued. We have been trustworthy, seasoned professionals in the San Diego county and surrounding area , and we provide professional moving, packing and storage options at competitive rates. Depending on your priorities you can decide to hire a Movers San Diego Rhino Moving LLC or choose to move yourself.